With Valentine’s Day and class parties approaching, the season is upon us for sweet tooth shaming. 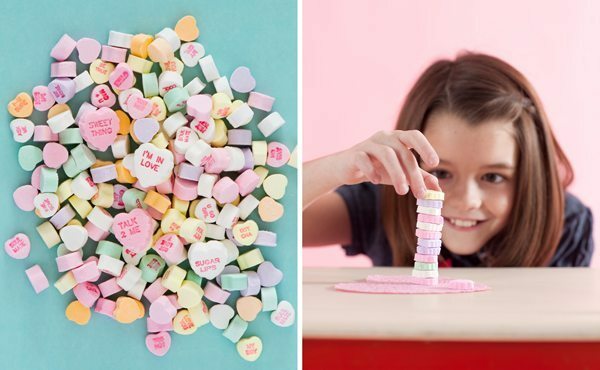 Are you one of those moms who hand crafts adorable Valentine’s for each of your child’s classmates, complete with homemade treats? Do you prefer to hit the drugstore candy aisle and buy out all the cards and candy featuring your kid’s current favorite cartoon character? Are you a sweet-free or allergy household where the very thought of unrestrained sugar and such gives you the hives? Do you worry that whichever category you fall into, the moms on the other side are silently (or not so silently) judging you? I know I do! This is a holiday about LOVE, not war. Moderation in everything, right? Even coconut-flour cookies. Kids love stickers and temporary tattoos just as much as chocolate hearts. Plus, they last longer! The myth of the sugar high has been BUSTED. Teaching preschool and raising two girls keeps me really busy, EXTREMELY busy, and my bet is most of you feel the same about your lives. So even though my crafty little heart yearns to lovingly personalize cards and treat bags for each of my children’s friends, I’ve decided this is one of those things I have to let slide. Though I’m telling you, those heart-shaped mini pizzas another mom made for a class party last year were awesome. You go, other mom! At my house we’re striving for a healthy mix of suckers and stickers this year, because, you know, balance. I’m just glad there are other parents out there to pick up the slack in the cute department just like there are moms and dads concerned about future dental bills and who’ve picked out the perfect Princess/Pirate pencils to dole out. Whichever route you decide on for your kids this year, just remember, we’re all in this parenting thing together. Headline image via One Charming Party.